Pullman rooms and suites put a new spin on sophisticated comfort, low profiled design draws insperation from Fontainebleau forest. iPod connection and complimentary Wi-Fi access makes your stay connected. Exclusive Pullman bed is a real relax in luxury. Enjoying aromatic coffee or tea with comfortable sofas or chairs at Lobby Lounge, it will be a perfect venue for business or casual meeting. Bar offers whiskeys, cognacs, wine and beer. Relax in Cajole Oxygen Bar after a busy day. Located on the 18 floor, our executive lounge welcomes it's guests for a relaxed business break, offering meeting rooms and free Wi-Fi. The guests can also enjoy our special breakfast, afternoon tea and a special happy hour event. Air Conditioning system is sub-par. Although there is temperature control inside the room, it had no effect in changing room temperatures. Room temperature read 28-30 degrees with no way of lowering. Heard the front desk apologizing to other guests about the same issue. The water piping is also clogged in the bathroom. When showering, the water level rises to the ankles. My co-worker experienced the same scenario in his room as well. Poor m. facility, small, dirty swimming pool, close at 9:30pm, start at 9:30am, amazing. 6 nights in Pullman. 2 nights in normal room and 4 nights twin beds room. This hotel is not as standard as international style. The 1st night in twin bed room was nightmare. The air was dry, the drain was jam, with over 1000 RMB price, didn't meet the price at all. After complain, the hotel manager offered a better room for us. Then everything was better. We were very satisfied at the end. Appreciate the service. 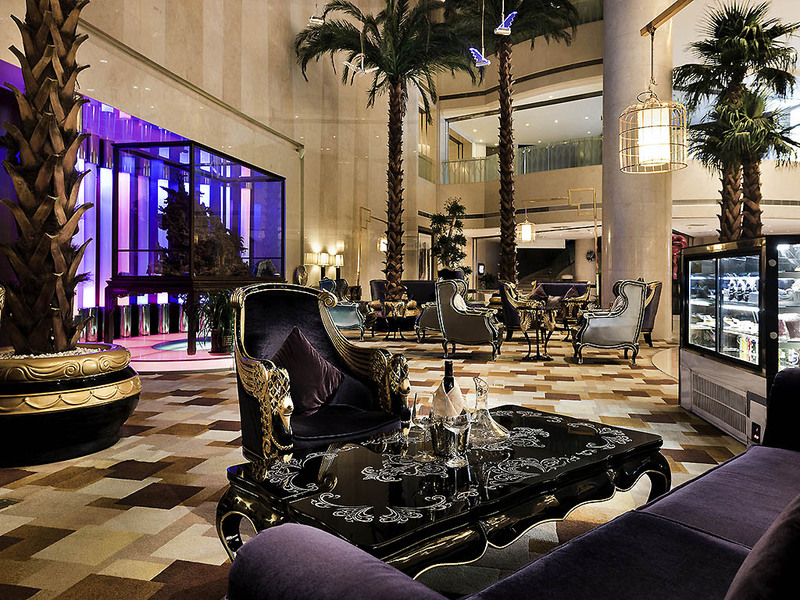 This was the second stay at the Pullman Beijing South hotel for business. After the first good experience last year, I decided to come back at the same hotel. Very good service, food is very good at the buffet and varies every day. Very nice people too and I want to especially praise Charley Cao who remembered me since last year and recommended to me the best landmarks to visit in Shanghai. the reception is warmly, the room is clean, the hotel location is good, very easy to have different food. Thank the staff at the reception to upgrade our room which is really nice and comfortable. so-so . all front desk staffs have good manner but don't feel they work with heart . The dirty little white door at a corner beside the lift lobby is horrible ! My stay was above average. The staff provided great service, especially Carter helping me get a cab to go shopping. I am allergic to Monosodium Glutamate (MSG), which limited what I could eat for breakfast and dinner at the hotel restaurant, however your staff helped me determine what I could eat. The king bed was a bit uncomfortable since it had sagged areas on each side but not in the middle. The shower did not drain well. House keeping did a nice job when I requested service. My room did not have stale or cigarette odors like it did at the Pullman north of Shenzhen. Very bad reception and no Platinum member welcome at all! Why do I stay at this place??? Rooms are just fine and love the car I can get from the airport and back. Everything else - service, food , bar, workout room, spa, are just horrible. breakfast is good. room is clean. but for some reason there's always kitchen smell in the hallway. Convenient location with average room amenities. Friendly, helpful staff. Room could use some updates. Carpeting was heavily stained. Breakfast was good - nice variety and quality of the food. No safe deposit box available in the room. Also had to request an iron/board, which was delivered on the second attempt. Staff misunderstood my initial request. This was so greatful to me in the hotel all staff are principled the cleanness is number one keep the spirit. First of all I would like the thank Chinese people and the government for teaching almost all the Chinese citizens to be royal, for the hotel to me it's the number one place I would love to stay in whenever I visit Beijing it's extremely clean it's services are really organised thank you Pullman Hotel.